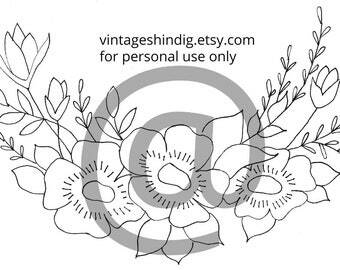 Vintage Shindig PHOTO to FABRIC PDF tutorial using your home printer for hand embroidery, etc. So impressed with this impeccable and original work!!!!! Hand embroidered hoops and magnets from snarky to sweet. If you are not totally happy with your purchase, I will do whatever necessary to correct the situation.